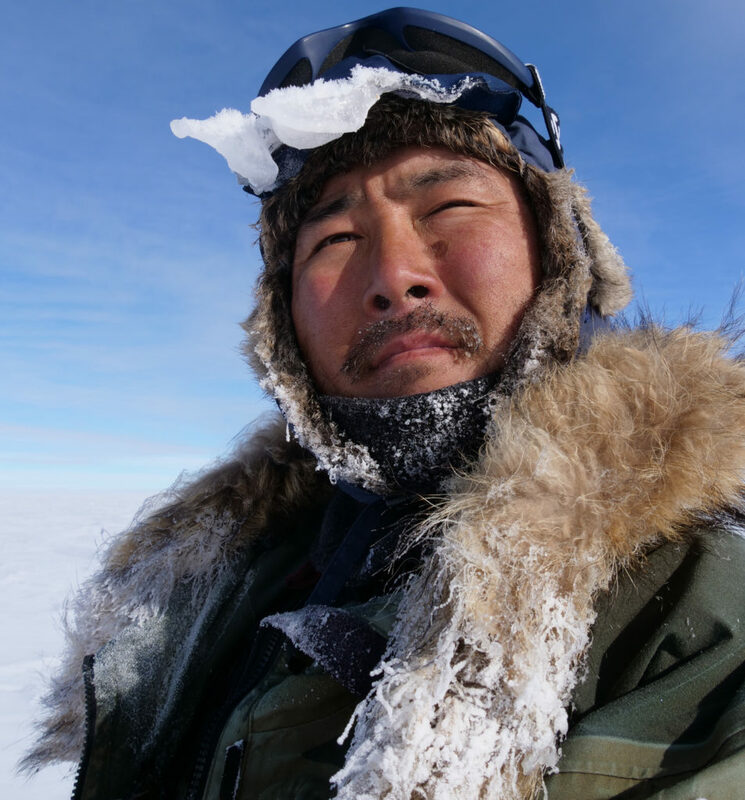 Yasu Ogita first felt the call of the Arctic at 22. Now 41, he has been hauling sleds for two decades. 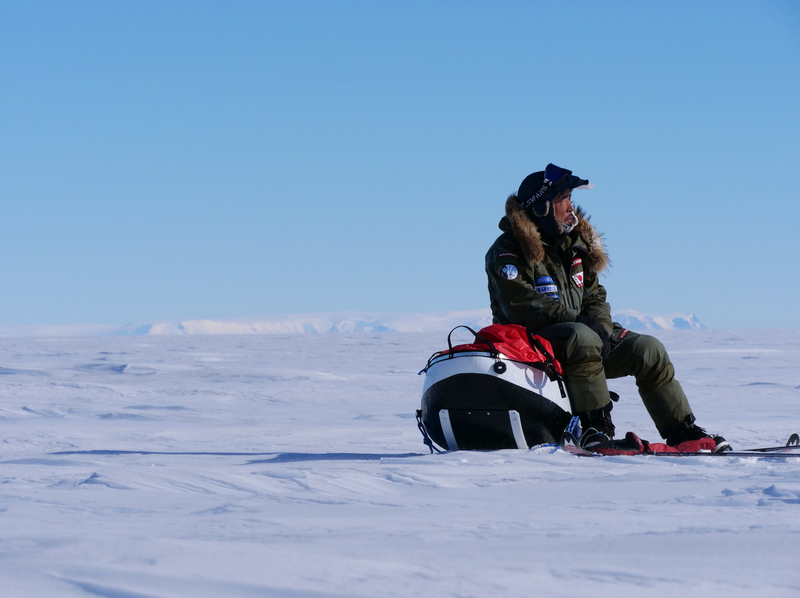 He admits that his personality — rare for someone from Japan — has always been, “If people are turning right, then I will turn left.” His left turns have led into a sustained and successful career in arctic adventure. 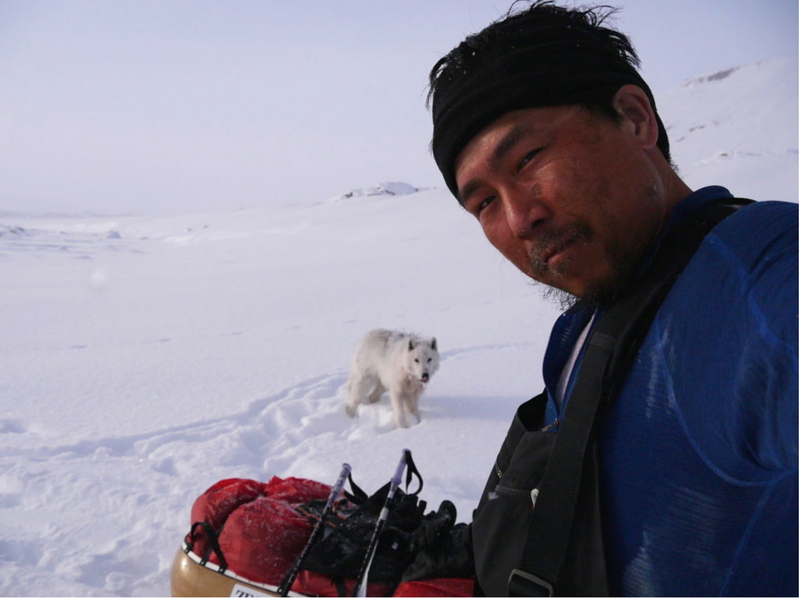 ExplorersWeb spoke to Ogita as he prepares for yet another journey across the white wilderness. 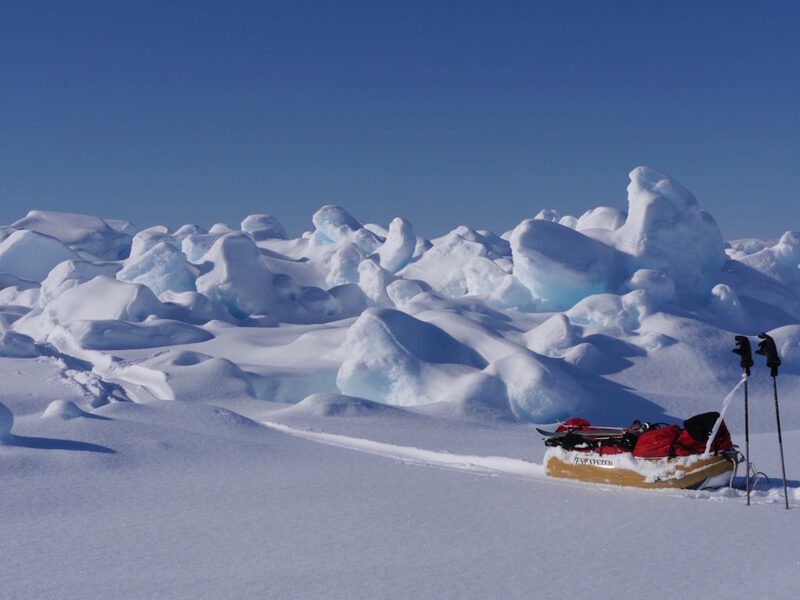 Most polar explorers are older. How did you start so young? I quit university in my third year. I wanted to do something but I didn’t know what. I was watching TV when Mitsuro Ohba came on a talk show. 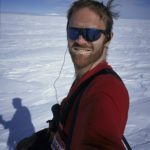 He was active in the 90s and manhauled across the North and South Poles. 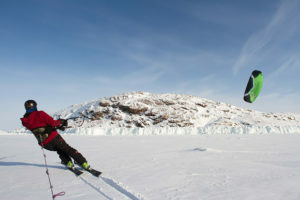 He planned to take a bunch of university-aged youths to arctic Canada on a 700km expedition to the North Magnetic Pole. I was restless and full of energy, and his words really captured my heart. I joined his project. In 2000, we went to Resolute, the Canadian village where arctic explorers congregate. 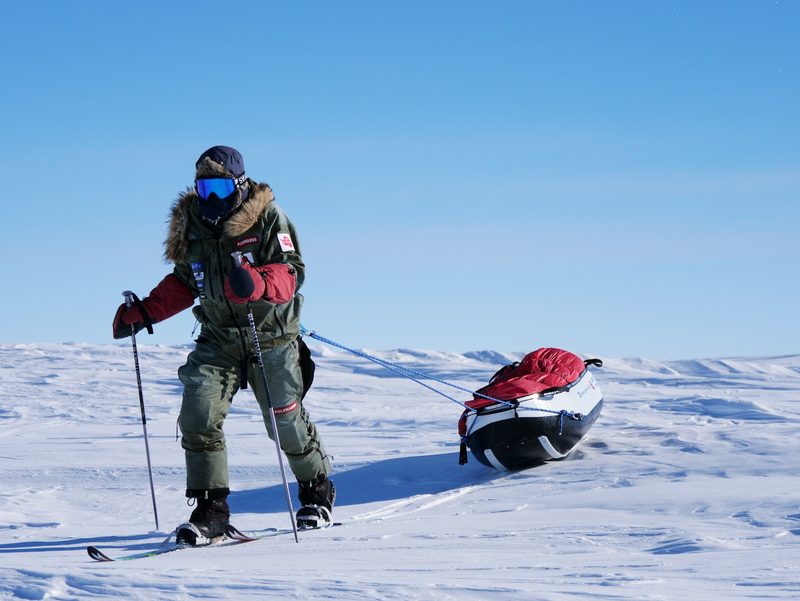 From there, we manhauled to the Magnetic North Pole in 35 days. Basically, I was drawn in by Ohba-san’s energy, which spoke to my restlessness at the time. Until then, I’d had no interest in the Arctic or in exploration at all. 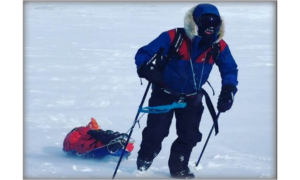 What kind of training did you do before your first expedition, and how do you prepare now? Well, I do a little training, but just the normal stuff like running. I used to live in the mountains in Kanagawa, so it was easy for me get out for a trail run. I’ve never trained by dragging tires or anything like that. I don’t really do anything now before I depart. Last year, I went to Antarctica really out of shape. I suppose the amount of training you need depends on how active you normally are. 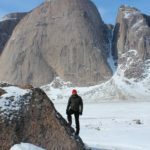 Although you’ve done the South Pole, and tried the North Pole, you’ve done a lot more besides these icons: for example, Resolute-Gjoa Haven-Baker Lake, or Resolute to Grise Fiord. 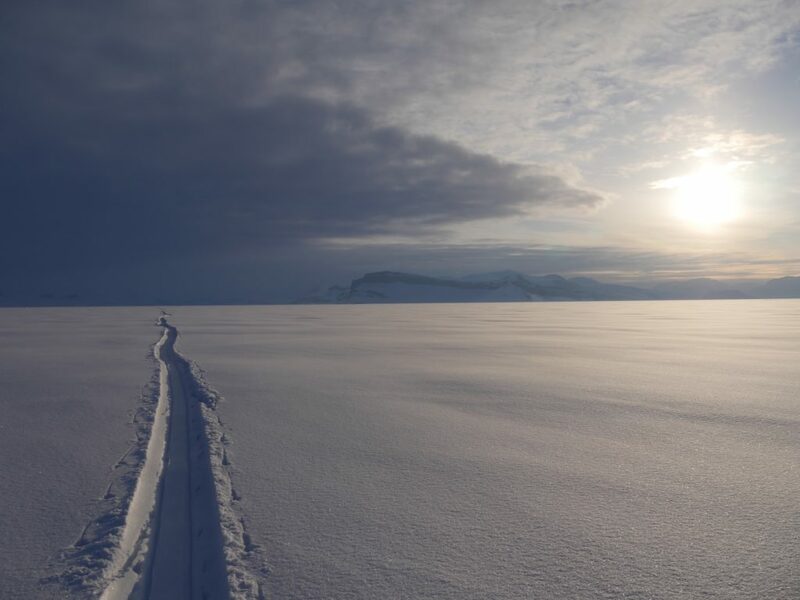 Some would say that these lesser known paths mark the true arctic traveler rather than merely the trophy hunter. What other routes have you done? I read the accounts of Robert Peary, Roald Amundsen, Fridtjof Nansen and the rest, and this makes me want to go to the places they talk about. If you’re a fan of the Beatles, you’d want to go to Abbey Road, right? There are many difficult routes in arctic Canada. Once you have been there a few times, these start to become apparent. 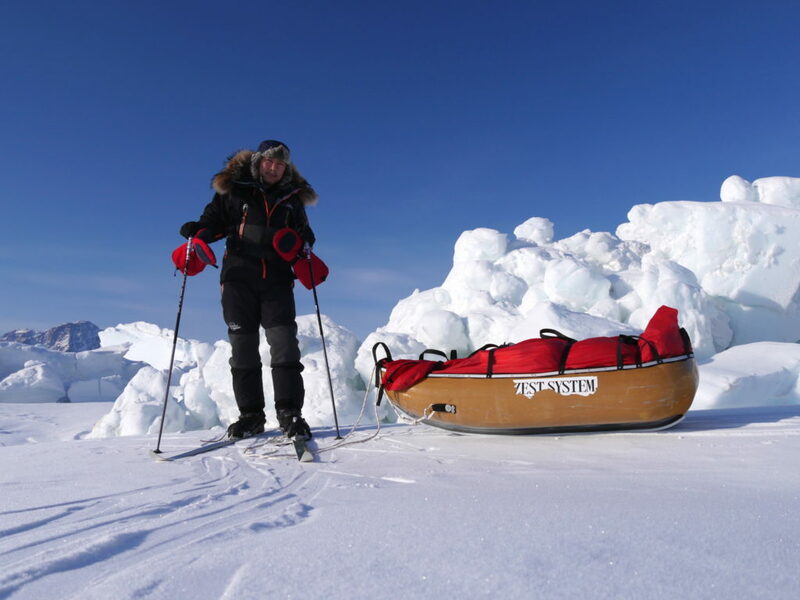 For example, the 1,000km route I took three years ago from Canada to Greenland was quite difficult. It was quite a legendary route interwoven with the stories of many explorers. When I find out about places like this, I want to go. Both your attempted North Pole treks failed. Why? To put it simply, it’s really difficult to go there solo and without resupplies. On my first attempt in 2012, I didn’t understand the Arctic Ocean. It wasn’t a problem of skills or ability. I didn’t have any problems keeping warm or anything like that. But the Arctic Ocean is a different world. The ice moves violently. It breaks up right in front of your eyes. 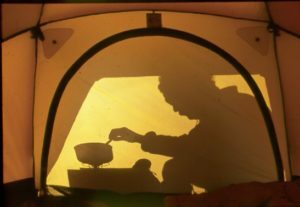 You drift several kilometers in your tent at night. It’s a really formidable and foreboding place. Now, I knew this in an abstract way, but I had never experienced it. When I did, it was quite overwhelming. Similarly, we have never been to war, right? We all know it’s terrible, but unless you see people dying right in front of your eyes, you cannot appreciate just how terrible it is. So, I failed from lack of mental preparation and understanding. In 2014, when I tried again, I made about 70 percent of the way. Mainly, I just ran out of time. 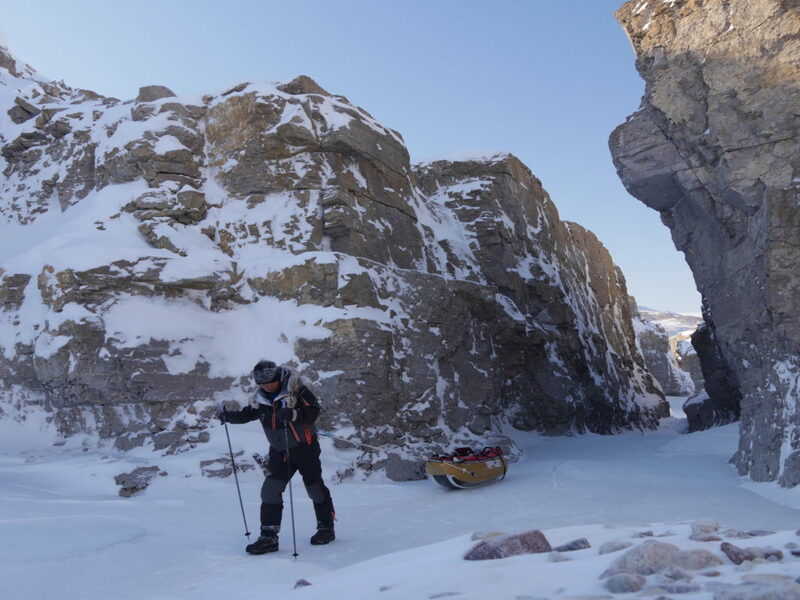 I was again doing it without resupplies and I couldn’t keep on schedule because of poor ice conditions. I spent a lot of time on the first half and did not have enough food to last until the North Pole. Do you now make a living as an explorer, such as by giving speeches at company events and the like? For a long time, I worked for half the year to build up the funds to live and travel. In the last five years or so, all I do is plan and run my own expeditions. I have a few contracts with different sponsors, who provide an annual income. What do your sponsors require of you in return? Depends on the company. Last year in Antarctica, Panasonic wanted me to use one of their cameras. They then used the photos I took in their commercials. Some places don’t ask for anything. Others may want you to use certain gear. I don’t think any of my sponsors are doing it for purely business reasons. At the end of the day, it’s all about human relations. Sponsors are, after all, just people. It takes time, but the effort you put into building relationships pays off in the end. I’m married, with a 6 year-old son. Why do you prefer the Arctic to the Antarctic? 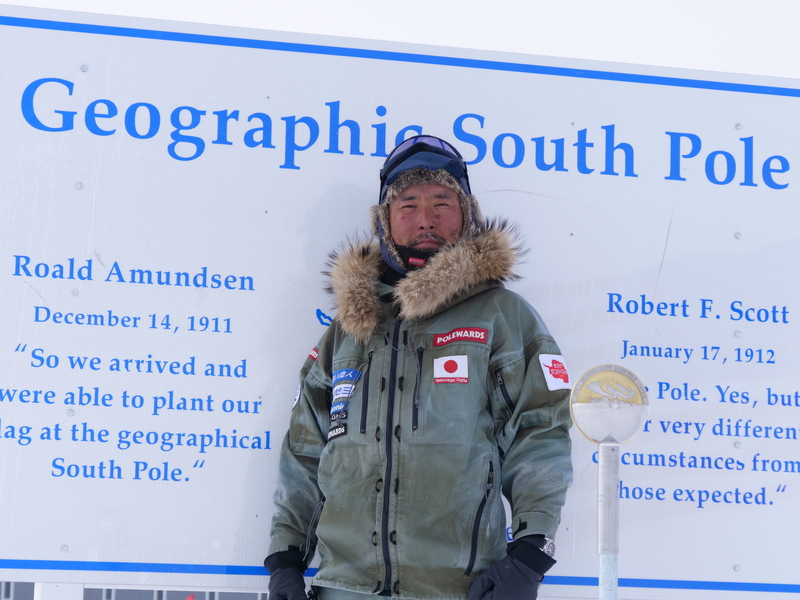 I’ve been skiing arctic Canada and Greenland for almost 20 years, but I went to the South Pole just last year. I prefer the North because it is more changeable and people live there — they’re not just stationed there. 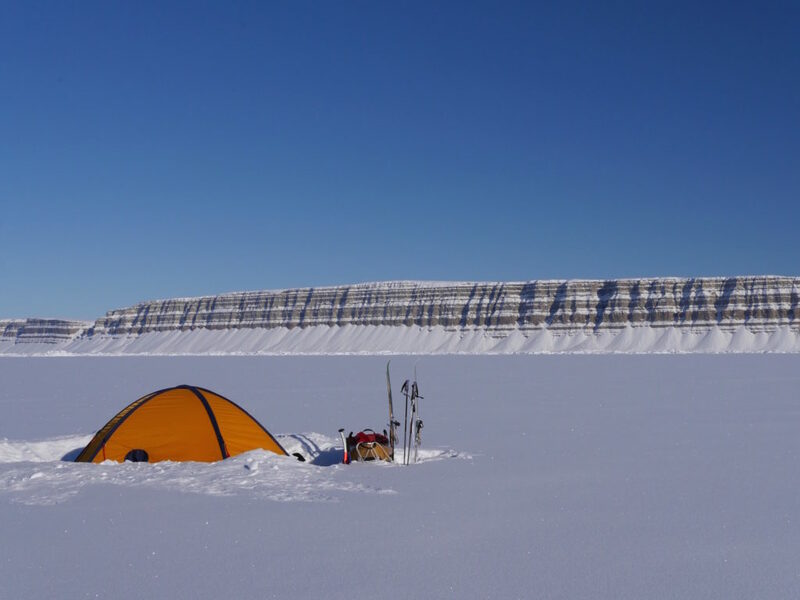 From an expedition point of view, the Arctic is more difficult. The South Pole is not that hard. Most of your expeditions are solo. It seems that a lot of Japanese arctic explorers do the same. Why? I think it’s a difference in the way East and West think about exploration. Westerners tend to have fun as they go and enjoy combining forces with others. The Japanese fixate on their activity of choice and go deep. Take, for example, the case of creating a vase or plate. A professional potter will take an incredible amount of time to finish just one. It’s not efficient at all. You could make 20 in the same amount of time. But the idea is to spend enough time to create one that you can feel proud of: This is part of Japanese culture from long ago: to delve in, to sharpen and to go deep. And the same concept applies to exploration. If you go in a group, the experience is diluted. The risk is no longer all your own. In 2001, a solo Japanese adventurer drowned off Ellesmere Island. Did you know him? His name was Mr. Kono. He was starting at the North Pole and heading south to Canada. I was with him for three weeks when I was training at Resolute. At that time, I was still a novice in arctic travel and it was my first solo. I thought his was big project and I was impressed. What do you now think of Ohba, your original inspiration? With your experience, do you not wonder about the competence of getting frostbite and losing toes? Personally, I have never suffered frostbite, apart from a bit of frostnip on my cheeks. Indeed, it’s entirely avoidable, and getting frostbite indicates a certain lack of skill. 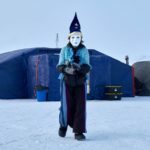 In the Arctic, I’ve been active in -56°C or so. The temperature never rose above -45°C the whole time. Even so, I didn’t get frostbite, which shows it can be avoided if you prepare well. Ohba got frostbite. I can say now, after 20 years experience, that his polar travel skills were not so great. But what was astonishing was his ability to move forward. His power. Not physical power, mental power. He overcame everything in his way. I can never compare to that. He is like a natural leader? No, not a leader. It’s like the people around him get drawn into his projects without even noticing. He evokes incredibly strong emotions in people. Those who like him love him, those who don’t, can’t stand him. He’s a whirlwind. So, there are many ways of measuring a person. In terms of skills, he ranks quite low. But his infectious energy and ability to simply achieve by pure force of will ranks at the extreme upper limit of the scale. He used this energy to cover deficiencies in other areas. He made huge mistakes that cost him his fingers, but his power got him through it. This year, you will guide young Japanese in the Arctic, like Ohba did, won’t you? Yes, I want to give other young people the same experience that Ohba-san gave me. I want them to stand at the doorway of the pure white world. How did you choose the participants in your project? At first, there were 17 or 18 who expressed interest. I didn’t carry out any form of selection, they are entirely self-selected. After the process of attending the monthly meetings, we are down to 12. What is harder for the applicants, the physical side or the financial? Depends on the person. Some have no problems financially. There are two female applicants. They are a little concerned about whether they can keep up with the boys. And of course, we will be living very close together for 30 days. Some are worried about the mental aspect of that. To those who haven’t done it, can you describe the pleasures of solo arctic travel when it’s -30? Is it just for stoics and masochists? When you are there, it’s not that much fun. It’s cold and hard. But to me, the Arctic is just a means to an end. What’s important is to live your life more actively or proactively – to live rather than to simply be alive. For me, walking the Arctic is the best way to do that. You gain a lot from taking responsibility for your life and achieving something entirely by your own strength. Of course, you see new landscapes, meet new people and eat new foods. In this respect, arctic travel is a joy. It’s great to follow your own heart rather than have to do something because you are told to. And interestingly, over time, the opportunities to integrate your experiences back into your life in society increase. You meet interesting new people. So, this has become my way of life, but the Arctic is kind of incidental.